Consider your planning for the month of November DONE! 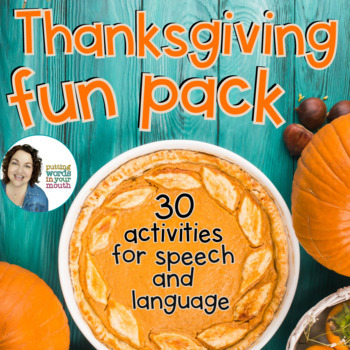 This 28 page download includes a variety of fun activities to use in your speech and language therapy leading up to November, and it's my solution to mixed groups! 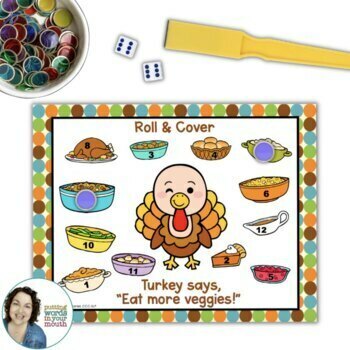 - 1 make-your-own-Thanksgiving-story activity to use with stamps or stickers. - 1 "I am thankful for" whole communication activity - perfect for carryover or fluency, articulation and oral presentations! Be sure to download the preview for a much closer look! * Includes pages in both color and black & white. 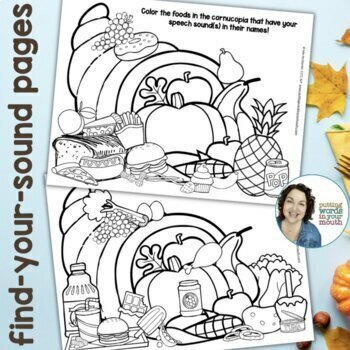 If you need more Thanksgiving activities, you can find many right HERE! If you're interested in more of my season FUN PACKS, you can find them all HERE. I'm so grateful you've considered my products for your therapy!